OpenShift is Red Hat’s Platform-as-a-Service (PaaS) that allows developers to quickly develop, host, and scale applications in a cloud environment. With OpenShift you have choice of offerings, including online, on-premise, and open source project options. With Git, developers can deploy web applications in different languages on the platform. OpenShift makes deployment hassle-free and it is also a free and open source software. In this tutorial, I’ll make a Rails app with a static page and deploy it to the OpenShift platform. The purpose of this tutorial is to see how the deployment process works. Create an account for free. A free account gives you 3 small gears with a storage capacity of 1gb per gear. OpenShift Gears are secure containers where applications run within OpenShift Nodes. Nodes are instances of Red Hat Enterprise Linux, which is the foundation of OpenShift. In other words, your application resides on Nodes and runs in secure containers within the nodes called Gears. Other pricing options exists if you need something different, you can compare plans to know more. You’ll get a prompt asking you to specify your own Openshift server. 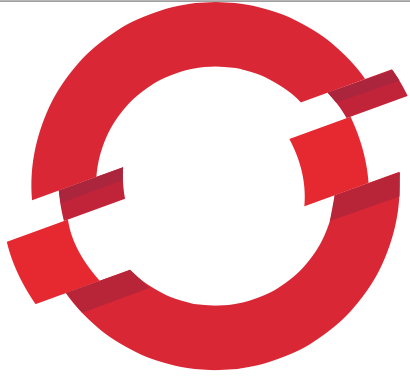 For this tutorial, we’ll user the server for Openshift online: openshift.redhat.com. Just hit enter to accept the default. Next, enter the OpenShift login credentials you used in registering. OpenShift can create and store a token on disk which allows to you to access the server without using your password. The key is stored in your home directory and should be kept secret. You can delete the key at any time by running 'rhc logout'. If you type yes, a token will be created and stored on disk. This token allows you to access the server without using your password. Finally, enter yes to upload your public SSH key to the OpenShift server to allow key-based SSH access. The final step to setting this up involves creating a domain. In Openshift, applications are grouped into domains. To create an application, you must first create a domain. Each domain has a unique name, called a namespace. An OpenShift Online namespace forms part of an application’s URL and is unique to your account. The syntax for an application URL is application–namespace.example.com. Each username supports a single namespace, but you can create multiple applications within the namespace. If you need multiple namespaces, you need to create multiple accounts using different usernames. Note, you must create a namespace before you can create an application. OpenShift Online uses a blacklist to restrict the namespaces available to you. The blacklist is maintained on the server. A message warns you that you have chosen a blacklisted name and asks you to choose a different namespace if you try to create or alter a namespace using a blacklisted name. Namespaces may contain a maximum of 16 alphanumeric characters and may not have spaces or symbols. Enter a unique name after the prompt and you are done. That is all, rhc is now configured. We need something to deploy. Let’s create a little Rails app to play with on OpenShift. I presume you have the rails gem installed, if not, gem install rails will get you going. We want to use Puma as the web server and PostgreSQL for the database. Puma is one of the web servers OpenShift supports. You can choose to use other web servers, such as Unicorn, Thin, or Passenger. Run bundle install after that. Note: ‘tent’ is the name of the app. #This file is used by Rack-based servers to start the application. git commit -m "fixed conflict in config.ru"
The .openshift directory, located in the home directory of your app is a hidden directory where a user can create action hooks, set markers, and create cron jobs. Action hooks are scripts that are executed directly and can be written in Python, PHP, Ruby, bash, etc. Copy this file to your local config directory. Note: If you get an error while pushing, repeat the pull request and push again. If you experience any issues, you can always ssh into your server to fix it using these same commands. Remember that tent in the command above should be replaced with the name of your application. The OpenShift ruby cartridge supports, by default, only Passenger running on Apache. But the Advanced Ruby cartridge allows you to use other popular servers, such as Puma, Unicorn, Thin, Rainbows, and, Passenger. In order to change it, we will use a feature of rhc which allows us to change environment variables. The name of your chosen web server lives in the OPENSHIFT_RUBY_SERVER environment variable. There are lots of options for hosting a Rails app besides OpenShift. There is a post on SitePoint about Shelly Cloud by Jesse Herrick. Here’s another post on deploying a Rails application to Amazon Web Services (AWS) . Of course, there’s always Heroku. Now, I can recommend OpenShift as a hosting provider for easy deployment.